The town of Bléharies is located south of the town of Tournai on the N52. From the motorway E42 turn off at junction 31 onto the N52 direction Antoing. Follow the N52 to the junction with the N507 and continue along the N52 direction St-Amand (France). 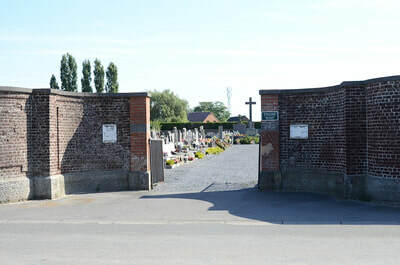 On entering Bleharies turn right towards the town centre along rue W Bouchart and the church is along on the left. 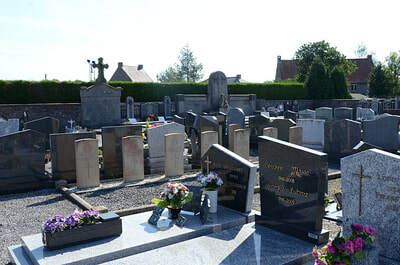 The grave is located in the far left of the cemetery. 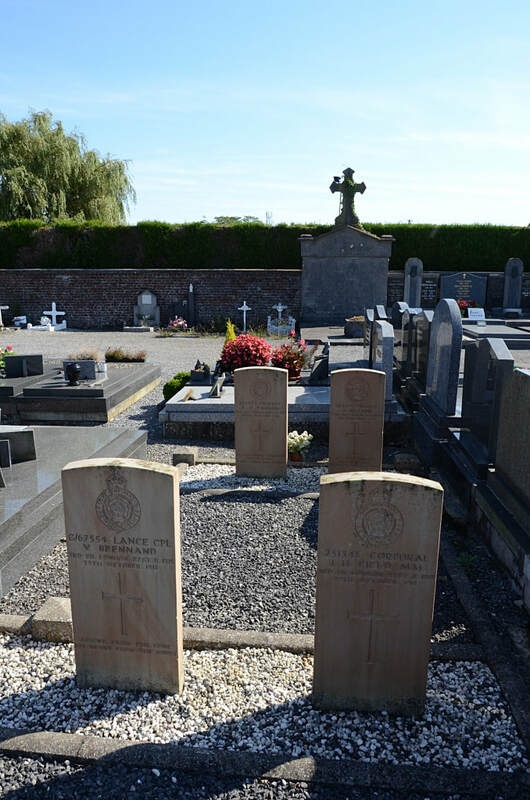 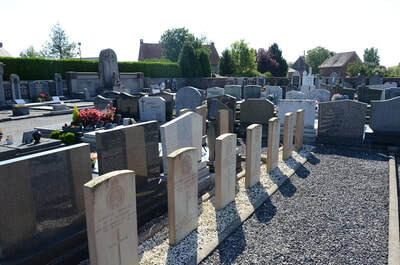 Bléharies Communal Cemetery contains nine Commonwealth burials of the First World War, all dating from late October/early November 1918, and the Advance to Victory.